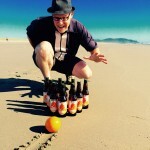 A craft beer winter invitational focusing on lager? That’s how E9 Brewery rolls, at least this Friday, Nov. 17. 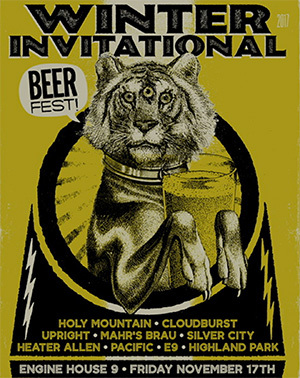 The annual E9 Winter Invitational focuses on lagers, with E9 pouring its Larry’s Fresh Hop Lager and Lepus Lager, as well as lagers from Holy Mountain Brewing, Cloudburst Brewing, Upright Brewing, Mahr’s Brau, Silver City Brewery, Pacific Brewing & Malting Co. and others. In addition to lagers, the breweries will also bring some special brews. Portland Cider Co. will host its annual Wassail Holiday Party, which includes the release of three new special winter ciders, Friday, Dec. 1 at its Clackamas Pub & Cidery. The three new ciders are Oregon Wild, a community cider hand pressed earlier this fall with donated apples collected from the backyards of neighbors in the Portland Metropolitan area; Winter Spice, a festively spiced cider with a little bit of a cayenne pepper kick made with 100 percent Northwest apples; and Hot Mulled Cider, a lightly spiced cider fortified with Portland Cider Co.’s own cider brandy, served warm and strong. A complex battle involving the city of Portland, OR’s iconic leaping dear insignia is currently unfolding between Old Town Brewing Co. and the city itself. At the heart of the dispute is whether the city has the right to license use of the image to other alcohol companies that want to use it within Portland, or whether Old Town’s trademarks of the image give them the right to shoot down any such use. CraftBeer.com examines the American pale ale — a style that changed everything, thanks to Ken Grossman and his Sierra Nevada Brewing pals. Actually, the rise of pale ales as a style began to take form in the late 18th century and into the 1800s. Let’s look at visual maps of how American craft beer has grown since 1977. On Oct. 28, a Canadian man named Corey Bellemore both consumed 48-ounces of beer and ran one mile in four minutes and 33.6 seconds. He destroyed the five other competitors and broke his own previous world record in the Beer Mile by nearly a second.